Local groups are an important part of the UU Humanist Association's mission. Local groups may be tightly affiliated with Unitarian Universalist Association (UUA) congregations, such as Study Groups, or they may be loosely or very loosely affiliated in that they may just meet at a UU site or generally welcome UU membership. Many of these local groups are also associated with other organizations, such as the American Humanist Association. Multiple associations are highly recommended and will help strengthen the reach and impact of our local groups. Why get involved with a local group? Local groups provide community and an arena in which to act on our Humanist values. Humanist local groups raise positive awareness of the philosophy of Humanism. Local groups associated with UU congregations help strengthen Humanism within the UUA. These UU-associated groups also emphasize that UU congregations are welcoming places for Humanists to find like-minded people to work on social justice issues, to help educate their children, to broaden their own eduation, and to have fun. Why list your local group here? Help people find you! We'll link to your website, Meetup, and/or Facebook page and help people learn about your existence and find out how to get involved. 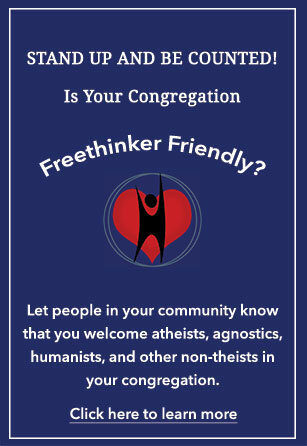 Show support for the UU Humanist mission. Being listed doesn't make you part of the UU Humanist Association in any way but it does show you acknowledge and support our goal to strengthen Humanism in the UUA and help us be a bridge between the secular community and the UU community. Get your events listed to increase visibility. See a map of local groups. Find resources for local groups.